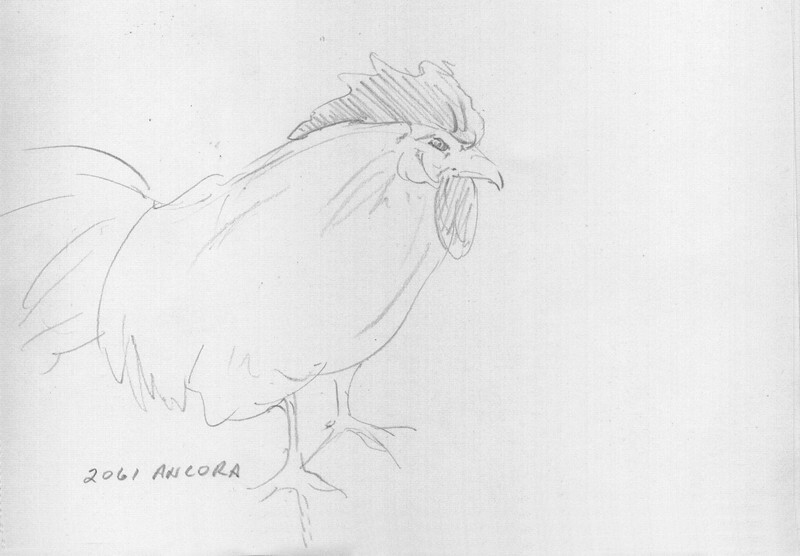 This quick sketch of the 'Ancora' breed was done in about a minute. There were people walking through the aisles in this show area, so it's best to do a really quick sketch and keep on moving. Again, this makes for great practice putting down only the bare minimum and still capture your subject.